Happy birthday to two lovely ladies! | Crowlas & Ludgvan W.I. Happy birthday to two lovely ladies! About 25 members of Crowlas & Ludgvan W.I. 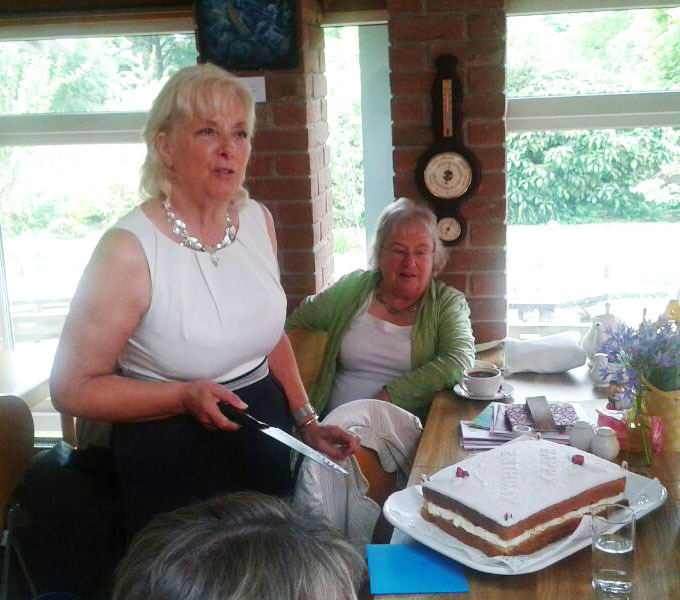 met at Trengwainton Tea Rooms to celebrate the very special birthdays of Pat Gloyn and Pam Smith. 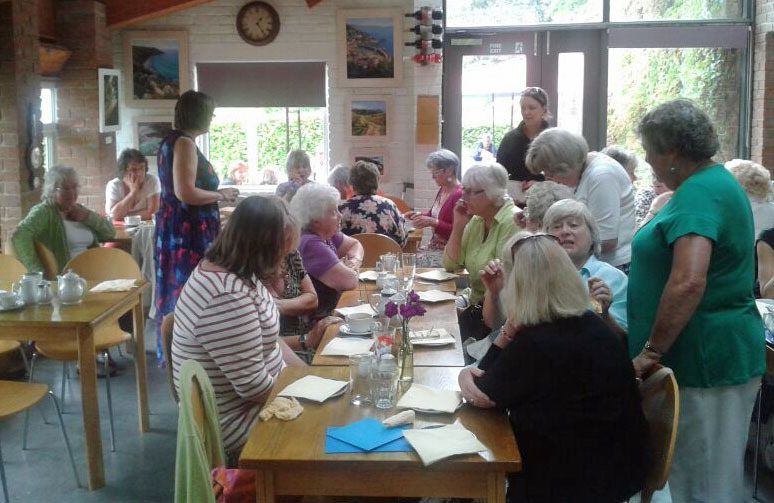 Fortunately we moved inside to eat just before the heavens opened and it poured with rain – but we didn’t let that dampen our spirits! Once inside, we were served our meals quickly and the food was varied and delicious. 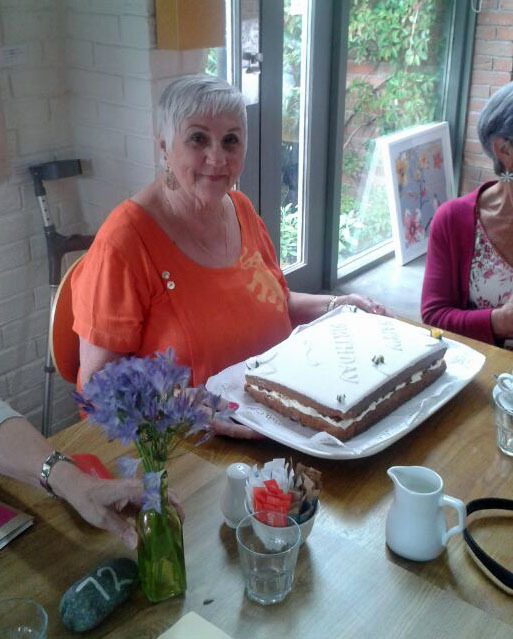 Before we knew it, two huge cakes were delivered to our tables and a rousing rendition of ‘Happy Birthday’ was duly sung with the rest of the customers joining in ! A good time was had by all. Happy birthday, Pam and Pat! This entry was posted in Uncategorized and tagged birthdays, Trengwainton. Bookmark the permalink.